I was raised by an appliance junkie. If it whirled, buzzed, chopped, diced or sliced, my mom had to have it. Those gadgets vowed to make life easier in the kitchen. One of her countertops was packed with these single-function appliances. When colored appliances came out, she started all over again. I promised myself I would never be like my mom and collect appliances, but then I peruse my countertop and I’m seeing a familiar pattern here. Back in the day, there were no such things as multifunctional appliances, it had a single purpose and that was it. Today in the 21st century, things are different. Creative companies have invented more versatile appliances that can do several functions, allowing you to downsize your inventory. One of these appliances is the Bellini Kitchen Master. The Bellini is a Kitchen Master indeed; it’s one handy countertop appliance. It has an 800-watt motor, a 1000 watt heating element with 8 precise temperature settings and offers 8 different functions. It comes with everything you need to mix, chop, stir, blend, knead, whip, weigh, steam, emulsify, grind, heat and cook your freshest ingredients. You read that right, you can also cook in this unit — every step is done in the Bellini — no other appliance is needed. Impressed? I am! Unveiling the Bellini Kitchen Master was both exciting and intimidating. The fun part is getting a new appliance, but the challenging part is learning how to use it properly and effectively. Having such a versatile appliance will both simplify and ameliorate meal preparation and multitasking. To begin your Bellini experience, I would suggest you try the included recipes first before you venture out and try to alter any familiar recipes to accommodate the unit. There’s a learning curve involved with the settings and certain rules need to be followed, and you don’t want to be second-guessing yourself. This is what I did; I stuck to the recipe book so I could get my bearings on how this machine operates. Bellini also has several recipe videos to kickstart your experience. If you need to weigh any ingredients, the unit comes with a digital scale. It features a large blue LCD screen with touch-sensitive controls that read in 4 different units of measure. Although the Bellini looks bulky and heavy, it’s actually lightweight and can be lifted and carried easily. To get started, place the unit in an area where you can do all the steps. The suction feet will keep the unit tight in place for the duration – I totally love this feature. All recipes begin by choosing a blade – either the chopping or stirring blade – installation is really easy with the lever under the bowl. At first, the bowl will feel like it doesn’t fit, but once a blade is attached and the lid is secured, it fits perfectly. I did though have a hard time putting the lid on the bowl and align the arrows. You need some girl power to turn the lid and lock it in place. The Bellini will not work unless the lid is locked in place – a great security feature. 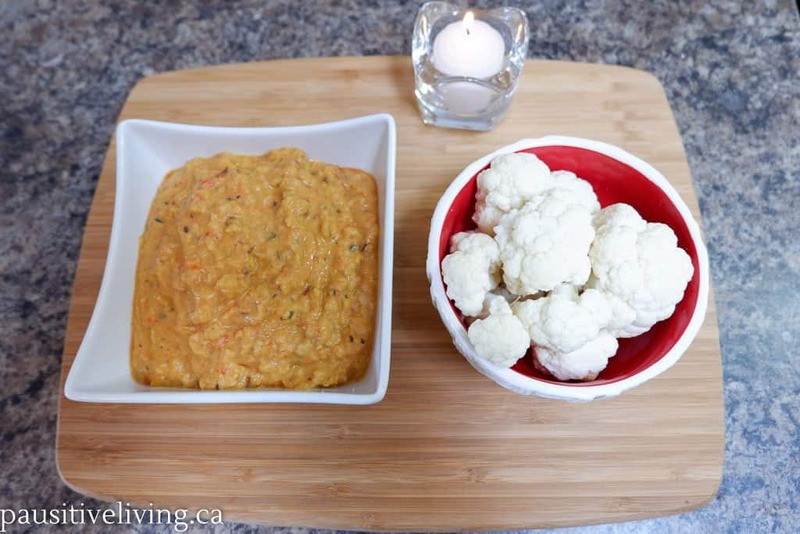 My first attempt at the recipes was making the Roasted Red Pepper Hummus. The recipe literally walks you through every step and includes speed settings and time. It took about 25 minutes to roast some red peppers, but the rest of recipe took only two minutes and we had a big batch of delicious fresh hummus. We’re big hummus fans, but we’ve never tried a recipe with roasted red peppers. It was so tasty that I’ve made several times for my family. It’s great as a vegetable and chip dip, but some of my family put it on their eggs and mashed potatoes. It works! 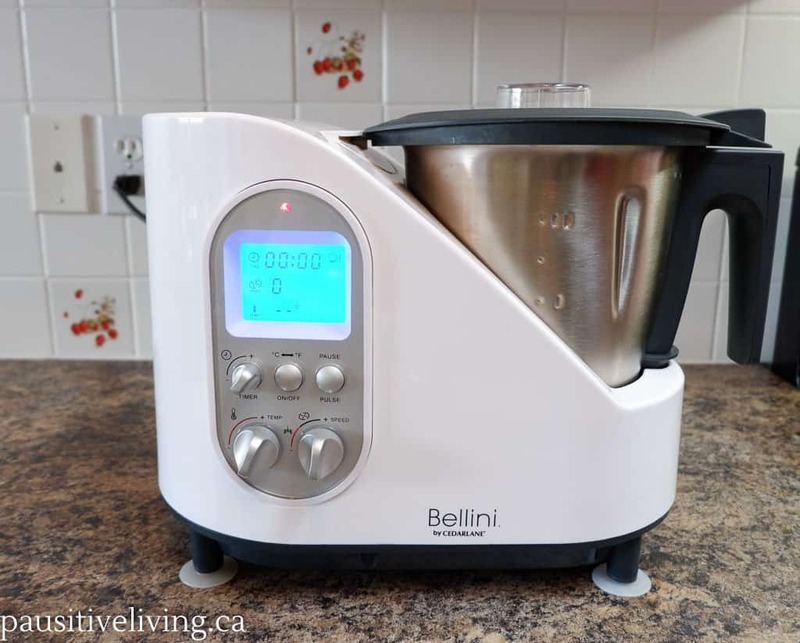 I want to add that I thought the Bellini would be noisy like my other appliances, but it’s a little quieter than my big blender which I use every day. While cooking though it has a gentle hum that you barely notice. I’ve seen risotto made on various cooking shows, but they made it sound like it was difficult to make, so I never attempted it. But, with the Bellini, I thought I’d go for it. I followed the instructions and after 20 minutes I should have perfect risotto, but I didn’t. Turns out I did not use the required rice. Who knew there would be a difference, but there is. I simply adjusted the time to cook the rice for another 30 minutes – like I would if I were cooking it on the stove and it turned out. 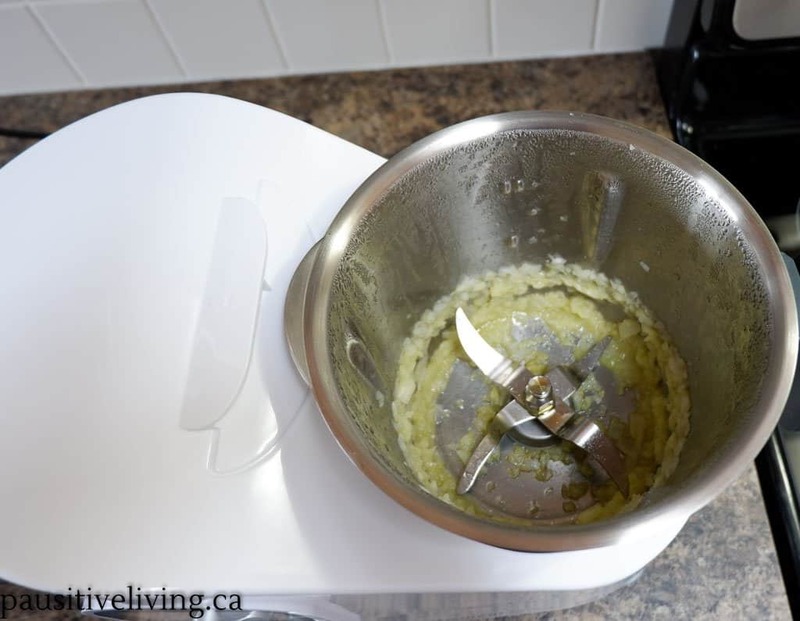 At the same time, I took the lid off and attached the steam basket filled with cauliflower and broccoli. After 30 minutes I had perfect rice and steamed veggies. I then continued to follow the remaining step in the recipe and served yummy risotto to my family. The first step to make Risotto is to put your shallots or onions in the bowl and pulse 3 times. Then you add 2 Tablespoons of olive oil and set your temperature, speed and cooking time. It took 8 minutes with the measuring cap removed from the lid. The next step you add your organic vegetable broth, rice and wine and cook at 100 C on speed 2 for 18 minutes. But, because I used a different rice, I added another 30 minutes to the cooking time. At this point, I also added my steaming basket filled with fresh veggies. There is a section in the recipe book that lays out some guidelines on steaming time for specific vegetables, seafood and chicken breasts. For vegetables, it’s suggested that the pieces be no bigger than 1 ¼ inches in size so they steam evenly. When the 30 minutes was up, I removed the steam basket and added some cheese and Italian vegan sausage pieces to the rice and stirred for about 30 seconds on speed 2. My family loved it. The result was perfect. The Bellini turned what I thought was a complicated recipe into an easy to make family meal. The unit did all the work and clean up was quick. Every morning we start our day with a smoothie, normally we fill our blender with fruits, supplements and supergreens. The Bellini was able to step in and blend a smoothie equally as well. 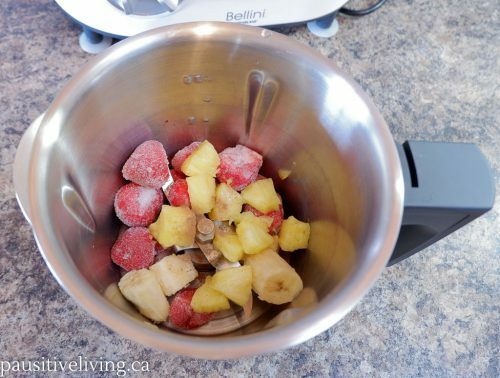 We tossed in some frozen strawberries, pineapple, a banana, little bit of cinnamon and some organic coconut milk. I blended all the ingredients for 30 seconds on speed 10 — at this speed, it’s quite noisy but tolerable. 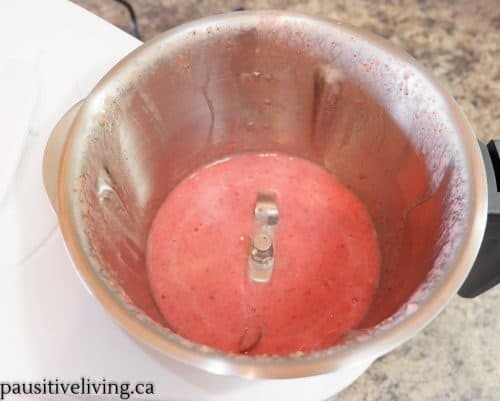 It pulverized the frozen fruit nicely and seconds later we had a cool refreshing drink. For clean up, the instructions suggest to add some dish soap and warm water in the bowl, then set the Bellini to stir at speed 3 at 100°C for a few minutes. But, I didn’t find it worked very well. I found it much simpler to wash the bowl by hand and then let it air dry. The more I use the Bellini, the more comfortable I become with the accompanying recipes and with a little patience and practice I’ll try out new ones. It didn’t let me down, every recipe I tried turned out. It does make life a lot easier in the kitchen using one appliance instead of 2 or more. The Bellini is a resourceful kitchen appliance that cuts prep time down significantly and keeps dishes and clean up down to a minimum. Now I’m discerning what gadgets I can remove from my arsenal of appliances to reduce the clutter. With the holidays fast approaching, we’ll be entertaining family, friends and unexpected company. The last thing we want is to slave in the kitchen. With the Bellini Kitchen Master, you can add your ingredients, adjust your settings and go enjoy the holiday season. It would also make a perfect Christmas gift! Happy Holidays! Disclaimer: I was not compensated for this post. I received the Bellini Kitchen Master for review only. All opinions are my own. sounds like a handy appliance to have – I want it. It sounds like a machine that would be perfect in my home. I’d love to downsize my appliances and use on that’s more productive. My fiance loves to cook. This would be an amazing surprise for him. I love how multi-use it is! Surprise for my lovely wife. I would be a great asset to my home. I spend so much time in the kitchen. I make breakfast, lunch and dinner. I do not even have a dishwasher. SOOOO anything that can make cooking easier I am for it. This gadget sounds great. This is such a clever tool for a vegetarian to have in the kitchen.I am already drooling over a few recipes that I sometimes avoid because of time constraints.I love this. I love appliances like these that are multifunctional and can help streamline my litchen activity. I really want to win this to give to my mother. She is a fantastic cook and loves cooking large meals. This would be such a help to her in making things easier for her. 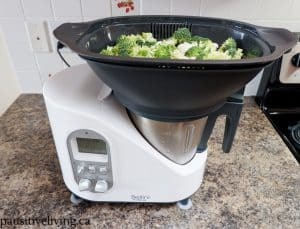 I love to cook and I think I could do all sorts of new receipes with this machine! I want to cook healthy meals to my family without having 8 appliances on my countertop while prepping a meal. I think Bellini Kitchen Master is my answer! I think it would take the place of many smaller appliances and be more efficient. This would really come in handy, but especially for my husband. He loves cooking gourmet meals, and has been wanting something like this for a long time. I would love to win this. As soon as my husband retires we are moving into our motor home full time, I will need this because I will have NO room for anything else! And it is such a cool appliance. I would love to win this prize because my food processor broke. I would love to try out this all in one appliance. I love to bake and this would make my life so much easier! I’d love to have one product that would replace what I have and what I still need! This sounds amazing! I want to win for the convenience it provides! I do a lot of cooking, and this would be perfect for my kitchen. This would be great! Maybe I can get rid of some of my other appliances that clutter my kitchen sink! In much need of help in the kitchen…autoimmune disorders are not kind…making meals simple and easy are a top priority for us! It sounds as though it could replace several appliances in my kitchen, I like that! I love to cook and having one appliance that does so many jobs would be great to have as I have limited counter space. The kitchen is my favourite place because I love to cook and our family loves to eat. One appliance that can do a lot of task would bring great joy to us and our well-loved kitchen. I’d be able to downsize my kitchen just to one. Because the Bellini looks like it does it all. I could use an appliance that does everything rather than have multiple appliances. The Digital Scale would be really useful to me to keep within my diet. It would be something new to add to my kitchen, thanks for the chance to win! Looks like it could really be a helpful kitchen appliance once you get used to it so would love to win and be able to try it out. I have a smallish kitchen and this would be amazing! We have a really small kitchen with almost no counter space. So a lot of our appliances have to stored in the basement and brought up again when we need them. I would love one appliance that I could just leave in place that would do so many things. Thanks for the chance! I want to win to make delicious food for my family! I have limited counter space and such a multi-purpose small appliance would definitely improve the variety of dishes I make. The recipes sound wonderful! I love to win this appliance because it looks very interesting and I could make a lot of delicious recipes with it. I love my small appliances and especially if they are going to help me in the kitchen and to make my family awesome meals, I would love this!! My daughters and I love bonding by cooking and baking together. My younger one wants to own her own bakery when she’s grown. She’d love to have a kitchen master to work with. I’d love to win this to make more great memories with them. I love to cook and this would make a great addition to my kitchen! I would like to win this prize because it would help me make healthy smoothies and other recipes for my family. I want to win as this looks like a very handy kitchen tool. I would love to get rid of all my other appliances. I’m moving and looking to upgrade my kitchen so this would be perfect. I would love to win this because its an appliance I could use a lot in my kitchen. It’s only my husband and me right now and we would love to have this to make healthy small meals every night. I want to get better at cooking and I think this would help me make more recipes. I’d like to win because I’m impressed at all the various options this appliance has! To steam, chop, whip, etc all-in-one machine is something I’d like to learn how to use, because once you do, you’ll be a kitchen master! This would be such an improvement in my kitchen. This would eliminate having so many appliances on the counter. I would love to win this because the only appliance I have is a hand mixer that is on its last leg! I’ve only dreamed of having a blender or food processor! If I owned this appliance, I would be able to reclaim some of the space on my counter. It sounds like an intriguing appliance to own. Thanks for the giveaway. I would love to have this because I am an appliance junkie and I love the versatility of this appliance. I also like a challenge and it sounds like this might be fun to learn to use. This looks like it would do so many things in the kitchen! My fiance and I have nothing in our kitchen… This would be a nice start!! I think this would be the perfect gift for my mother and I. We enjoy cooking and baking together and coming up with new creations. Looks like this would make our jobs a whole lot easier. Thank you so very kindly for the opportunity and enjoy your week! LOOK IT”S SNOWING!! This would be so useful in our house! I could use this for so many things…..love to win because I don’t have one. It would be great in my home and I would like to try it. Because anything to make cooking easier is my friend! I’d love to win because I’ve had one of these on my wishlist for a while. I think they are awesome little kitchen helpers!! It would like to win as I think it would be fun to try new recipes with it. This looks like a cool aid for the kitchen. I love the versatility that this provides, in terms of meal prep. I’d love to win this for my mom. She does most of the cooking for my freezer as I’m ill at the moment. I so appreciate her taking care of me in the last year, I couldn’t thank her enough so this would make her cooking much easier. I would love to be able to give my family this gift! My husband loves to cook. I would love to win this as cooking is my number one hobby. This would allow me to do so many new and different creative things. It would be fun to have and use. I love that you can do so many things with one appliance it would save space in my kitchen. This looks like an interesting appliance that would make cooking and meal preparation much easier. I would love to try it. I love to cook during the Holidays and this would be a time saver and things would be processed so much better . I have a really small kitchen with limited counter and cabinet space. An appliance that serve multiple uses is definitely welcome. I love to experiment with recipes. I don’t have a food processor, or many of the appliances this Kitchen Master replaces, so it would be ideal for me and my kitchen! I would use it to chop onions and peanuts. I love to cook and the bellini kitchen master sounds really interesting. We could use this to make some great dishes with minimal cleanup. Just think, prep and cooking all in the same dish! Thanks for running the contest! I love to cook and love trying new appliances. Looks like a really versatile kitchen tool. I would love to win this as it sounds absolutely amazing and I would have so much fun trying out different recipes with it! Looks like a super duper handy appliance to have in the kitchen… it’s so versatile! Cooking is my #1 passion in life and new gadgets and appliances excite me! I have been making my own salsas, sauces and body butter, all of which would be a lot easier if I had this! They are all possible without it but it definitely makes the job much harder than it has to be. this prize looks fantastic. i love making great recipes for my kids with fresh fruit. I would love this prize because my wife’s Bosch is on it’s last legs and is slowly dying and needs replaced. Looks like a great product for my kitchen. I’m often making meals for one so this would be such a time and effort saver. I’ve never owned one. Think it’s about time I did. Ooo! The Bellini Kitchen Master would make such a huge difference to our household! convenience! I would like to win because I love to cook and I can think of tons of uses for this in my kitchen! So many functions in one machine! My husband and I are following a plant based diet, which means a lot of chopping and prep work and cooking everything from scratch! An appliance like this would be a game changer- it would save so much time! Love the steamer option too. I would love to win it as it I could get rid of a few appliances and gain some space in my kitchen. Looks like an amazing appliance! Who doesn’t love a good bellini? This looks like a fun appliance to try, might make dinner that much easier! I’d love this as all of my gadgets and appliances left as my children left home. Not kidding! I would love to win. Very versatile and could replace various kitchen appliances. I would like to win this machine as it would make my holiday baking so much easier. I really need to this to make my cooking so much easier. I love trying new gadgets for the kitchen and this one looks very useful! Appliances are this wife’s answer to her husband! I would like to win this as I have a very small kitchen. I would be able to retire and clean out my few cupboards of small appliances that I wouldn’t need anymore. The Bellini Kitchen Master would be a wonderful help in creating recipes. I am sure that all the functions will be used in time, a great addition to the kitchen. appliances are very useful, they do a lot of things and help make activities easier. It looks like a very cool small kitchen appliance and I can think of a quite a few dishes I could make with it. I love to cook and anything that could help me make new and exciting dishes and at the same time save time I’m in. So many things can be done with this!!! It looks like a great kitchen appliance and I would love to try it. I’d like to win cause I enjoy cooking & I believe this would come in handy at my house. I would like this so I can make fresh soups and smoothies. I love cooking and baking. I think this Bellini is an amazing utensil for anyone who loves to bake and/or cook. Thank you so much for the chance to win such a wonderful kitchen helper. I want to win it because it would make many of cooking and prep tasks so much easier, and tackle so many jobs! I would like to win because I like that it has suction and making prepping easy. I love cooking and trying new recipes and this would help in a huge way! I want to win this because it looks like it does everything thanks for the chance to win this AWESOME prize. I really like that it is multiple appliances in one so it wont take up as much counter space as a bunch of appliances do. It would make a great gift for my daughter. I would love to win this Bellini Kitchen Master because it is so versatile! Love how it can mix, blend, weigh, steam, stir, whip, emulsify, grind, heat, chop, knead and cook as well!! I would love to win this as gift for my sister. She would love it! I want to win this prize because I have a tiny condo and not a lot of room to store multiple kitchen appliances. I love that this multitasks! i would like to win because i want to make cooking easier with better equipment. Would love to win as I love to cook. This would take the place of so many of my many kitchen gadgets. Would love to have this all in one appliance. I would love to win this because I love to cook and love handy kitchen gadgets! Thank you! It would be nice to have an all-in-1 machine to save lots of time. I think my daughter in university would benefit from having this to cook for her. Sounds like a dream kitchen device! It would help me a lot in the kitchen and reduce some of the gadgets I use. BEST MACHINE I HAVE SEEN,NEVER SEEN ONE LIKE IT BEFORE!!!!! I would like to win this to give to my sister for Christmas. I know she would use it every day. I would like to win this because this thing looks awesome! This would be a great addition to my kitchen. It does so many different things I could get rid of a few of the other appliances that do not work as well or do as many things. This would be a very convenient kitchen appliance to own. 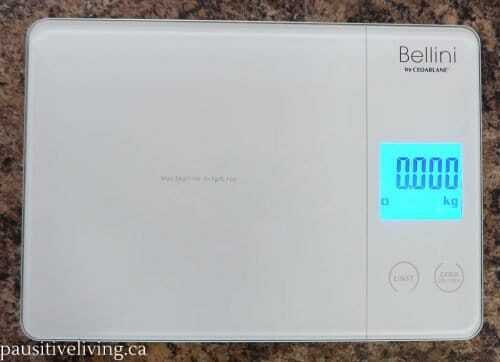 I love that this unit includes a digital scale. Perfect for baking and for dieting. An all in one machine takes up little space. Turmeric essential oil, until I read that it may interact with diabetic medication, so please check with your physician first before using. I’m a person who has cancer cells and Diabetes!! I will talk to my doctor regarding this! I have limited space, so multi-functionality is key! Thanks for the chance! I, too, am a gadget junkie and this one looks spectacular. It looks like a very versatile appliance. Could be useful in my kitchen. 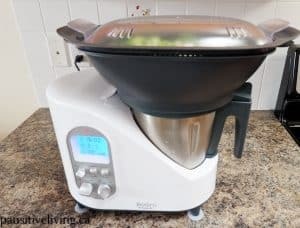 I enjoy cooking and love to try new recipes.This Bellini machine is awesome as it can multitask and would be a big help to get more doe in the kitchen.I think I would love it! I have a small kitchen and would love an appliance that can do so many different things. With very limited kitchen space and storage with living in an apartment I need to downsize and this would help a lot. I’m a big kitchen gadget Afficionado too. So curious to try this. Wish me luck. I would love to win because I cook and bake everything from scratch everyday and this Kitchen Master would be such a great time-saver for me! I want to win because I cook for my family but, I am also trying to be a minimalist. My husband is a trained essential oils practitioner and I love and believe in the power of the oils. I would like to win because this would be a perfect addition to my kitchen. There’s so many features I love. I’ve never seen a blender with a scale attached before. This is a great all in one. This just looks like such a cool appliance I would love to win so I can try it out and make tonnes of new recipes! I would love to win because you can do some many different things with it! I love a multi-purpose appliance! I am currently trying to learn to cook and this would be helpful. Looks to good to be true! looks like the perfect appliance! I love cooking and would like to do it without putting my oven on – it uses so much power. This looks like a remarkable kitchen took, I want to experiment with it! I have a muscle disorder so making food is not very easy for me and any tool/machine that helps means I can eat better and stay healthy. I am one person so cooking large amounts doesnt always work for me so being able to learn a new appliance that can do so much for making my meals more unique and delicious. Id love this in my kitchen. My husband and I love spending time in the kitchen together! I love new appliances to make my cooking better. I would love to win this because I keep hearing about these multi-appliances and how wonderful they are, but I’m afraid to buy one in case I don’t like it because they are so expensive. I’ve never seen anything like it! The miracle appliance! I would be glad to pare down my kitchen appliances to a single gadget. I love to bake and cook so it would so nice to have the Bellini Kitchen Master in my kitchen! I love that it has multiple uses also! I want to win because I want to make smoothies for my family. I don’t have much kitchen space. I could get rid of others things and replace with this one. I think my husband would really like this. He’s a great cook and I would like to give something like this to him for Christmas. I’d love to win this because my kitchen is so small, and lacking storage, that this would be perfect for me! I too might be considered a junkie. I have wanted this exact treat for maybe 4 years, just won’t let myself spend the money. I love new kitchen gadgets. Anything that makes cooking easier and more enjoyable is for me. I would love to use the steam basket to steam my veggies. I like that this is a multi-function appliance especially with limited counter space. I would love to have the Bellini for my kitchen my son has Celiacs and we have to make all his food separate from our so i do everything by hand make bread chop etc so this would help me out with his food prep. I love to cook but my Mom is the appliance junkie and I would gift her this. My daughter-in-law is a wonderful cook and has mentioned that she would love to have one of these. I would love to be able to send her one for Christmas. I would love to win because I can see myself cooking a lot more veggies in a much more yummy, healthy way if I use this in my kitchen. the Bellini looks so great, would be perfect in my kitchen! I would love to win this since I love how many uses it has! I also make smoothies every morning so this would be perfect. Food is a HUGE part of my life because I follow a very specific diet that requires I cook from scratch for every meal. I love any tool or gadget that makes it easier! I think it would really be a useful ,practical tool to have. I’d like to win so I can make the Risotto! I could definitely get rid of a few small “appliances”, which would in return free up cupboard space! Having one appliance that could do multiple tasks when creating big meals/snacks would be awesome. It’s an amazing appliance. I really want this. I want to win this because it has so many uses and it would replace my food processor which is broken. This would be awesome. Such a versatile appliance. I would love to be able to make hummus at home too. I love to cook and baking is great. This would be helpful as my son is taking over in the kitchen and looking for new tools to help with that. Im loving the versatility and think it could help me prepare more nutritious meals for my family! Would love to win this because I am started to learn how to cook more. I just moved into a really nice new home and dabbling in more cooking. My favorite essential oils are the peppermint scent! I don’t have a lot of storage space in my kitchen, but I love to cook. This would eliminate the need for so many individual small appliances! I love that!! I love to cook, but don’t have much counter space for appliances, so I do everything by hand and from scratch. This would help a lot! I am a kitchen geek who loves kitchen toys and I want to play with this!!! I would love to win the Bellini Kitchen Master for my Mom; she is an amazing cook and pretty much everything from scratch. She genuinely loves to cook and bake, but with aging and the fact that she was diagnosed with arthritis recently, its limited her ability to process raw foods for various dishes. This product would help her and I know that she would put it to good use. And its always awesome when she cooks for me! I am a den mother, so this Bellini Kitchen master would save me time taking care of all these boys (both young and old!) And it might even get them interested in processing the food for dinner! I’d like to make smoothies, and this would be a fun appliance to use. my old harvest gold blender went up in smoke last Christmas when I was making some healthy brownies using black beans! I really need this kitchen appliance for all my baking and with Christmas right around the corner I would put it to good use! This would be great for my Dad’s house. I cook him dinner every night and I’m tired of lugging my kitchen equipment back and forth all the time. This would be perfect for this old retiree trying to make ends meet by using less big appliances and the cost they ensue. I have a weakness for a handy kitchen appliance. I didn’t know about this until your post and now I must have it! I would like to give this bellini to my son. He just purchases a new house and does not have an appliance like the Bellini. I want to win this for my husband because he does most of the cooking. I want to win this because I have nothing even close to this in my kitchen! This is such a clever tool for a vegetarian /vegan to have in the kitchen- i could make a ton of homemade recipes using this appliance!! I would like to win this appliance because I love to experiment with my cooking and I think I would have a lot of fun with this one. Would be a great addition to my kitchen like making my own soups and dips . This would make cooking so much more fun!! I will be giving this gift to my daughter-in-law. I’m so proud of her, she fed my grandson and granddaugher only homemade baby food and now that they are both growing, she is doing such a great job in the kitchen. I love how multi-functional this appliance is. This machine is pure magic! I want to win this to save me a bunch of space and time spent in the kitchen. This would be great to replace a number of appliances. We would use this for so many different things. This is a great versatile appliance. I haven’t had a blender in a few years. I’d love to be able to make smoothies and iced coffee drinks. i would love to win this to make myself smoothies in the morning. It would be so helpful in the kitchen!! I would love to win this for my daughter for her new home. I’d like to win this because it looks like a fun and interesting thing to have in the kitchen. Also, my blender is horrible at smoothies and this looks like it would work well. I would love to be able to prepare more variety in our daily meals. I also have a small kitchen area so step saving tools are basically a requirement. I would like to win this giveaway so I could give this to my wife for a Christmas present. She loves to cook and is really good at it and she also loves gadgets and appliances for the kitchen that she can use to make our meals even better. Love how much you can do with this tiny machine!!! I love that this one appliance has so many functions. Kitchen storage is always an issue, so gadgets with multiple functions always appeal to me. I would love to win because I think this would save me time in meal prep and I could make baby food or smoothies for my kids with it! It looks like a great thing to have! I would love to win this so I could make a variety of meals and beverages all the while saving myself a lot of time in the kitchen. I would love to win this because it has so many useful gadgets that would make preparing and cooking a breeze. I have not seen anything like it and fell in love with it when I saw it. Thank you so much for the opportunity. I would love to win this because it has so many useful gadgets that would make preparing and cooking a breeze. I have not seen anything like it and fell in love with it when I saw it. This appliance is very different and looks like a lot of fun to experiment with. Thanks for the awesome giveaway opportunity. I want to win because I have been wanting one of these. It would come in so handy. Would love to cook with one someday! 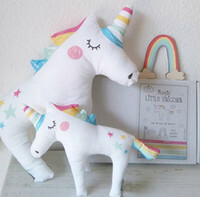 I would LOVE to make these for my friends! I could get rid of a few appliances and this would be so fun to play with! Sounds like it would be fun and helpful to use! I would love to have this, maybe I can eliminate some of my single use appliances. Love that you can cook with it too. I would LOVE to win the amazing Bellini Kitchen Master because of it’s versatility, blending, chopping, steam, whip, & emulsify. It’s all-in-one compact perfection! This would make my meal making so much easier and would probably make me a better cook. Happy Holidays. I would like to win this because it would be so useful in my small kitchen. It is awesome! It does so many things, and takes up so little space. It would be fun to try new recipes using this. I love all the things it can do and all the things it can make, this would be a great cooking tool! I want it because it looks like an awesome appliance that would get used almost daily. This would be a great compact appliance that can replace a number of others. Gets the jobs done and frees up space on the counter. It’s a good thing. This would be amazing to try, You can do so many things with it and it doesn’t take up that much place. I am trying so hard to lose a few pounds but more importantly to eat healthier. I want to win this because I love kitchen appliances. I would like to win this for my aunt as she loves to cook all day and all night long. I make my own pasta, bread, and pizza for my family all the time. What else is there to say besides this is the coolest thing in the world. Current favorite appliance would be my washer and dryer because it is the newest I guess. I need a new fridge badly though. I want to win because I love to cook and don’t have a food processor right now. I sell bread and my scale just broke so I’ve been looking for another one. This would be perfect! I want to win this because I have a teeny tiny kitchen so having kitchen items that can do multiple things is the best. I would use this all the time and it wouldn’t take up nearly as much space as having all the separate tools. Fingers crossed! I’m 65 , my three sons are grown and moved out and my wife pass away four years ago ! This would be just right for cooking meals for myself ! I would love the prize because I’m am making a point to cook at home in 2018. This would make it fun to try new recipes. We have a small kitchen and having such a versatile piece of equipment sure whould clear up some seriously needed counter space. This sounds like a dream come true. This would be amazing to win., So many appliances in one. It would make more room in my kitchen. And so many recipes to try. I need new kitchen appliances. This appliance just what I need. I enjoy cooking but with a small kitchen having several small appliance takes us too much space. This would make llprework so much more efficient. I would love to win this. I would love to win this, it looks like such a handy appliance. To make healthier meals. I love kitchen appliances. Sounds like a pretty great appliance to have around! I wouldn’t love to win this because it would save me a lot of time in the kitchen. I would use this for meal prep and to make my after workout smoothie. This would be an awesome addition to my kitchen counter 🙂 ! This is something I could really use that would make my life much easier in the kitchen and with my health. I would LOVE to win this prize because it would be perfect for Holiday meals and super impressive to all of my guests! I would love to try this out and steam some veggies! I would love to win this because my son is OBSESSED with Nerf guns! I would love to win this, it would really help my prep time when I’m in the kitchen. I have a small kitchen so this space saving unit would be great. This product is amazing! And smoothies for the win!!! I would love to win this because it sounds like a great way to keep the dishes down, and it sounds great not to have to keep stirring, great for risotto or polenta. I have very limited counter space in my kitchen and to own an appliance that mixes, blends, weighs, steams, stirs, whips, emulsifies, grinds, heats, chops, kneads and cooks is a dream. Thanks so much for the chance. Merry Christmas. Why? WOW…because it does so much! We don’t own an oven/stove, our toaster oven just died, and we have to cook in the microwave. This would help out with other options. Thanks and God Bless! This is great. I currently hate my blender so I would love this for its ability to puree. 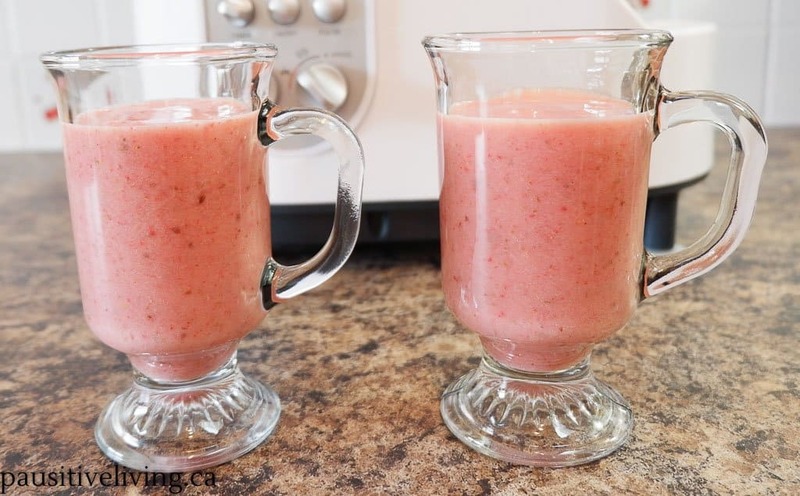 Smoothies are a go to snack in my house, not to mention all the functions, great kitchen appliance. I like to cook. This would be a great addition to my kitchen. My kitchenaid is on it’s last legs… smells like burning oil and smoke when mixing cookies, lol. I never realized there was another option until now, but this looks awesome! It’s basically a smoothie maker/blender/food processor in one without having to have separate appliances! I do a lot of cooking and this would be a great gift for myself. I would love to win this because it would make my holiday cooking so much easier! I want to win because I love kitchen appliances and gadgets, but I don’t have a lot of space to own a lot of them. Having one that does many jobs would be a space saver and time saver. I love that it has so many purposes and it makes cooking easy. I have no appliances to do many tasks of what the Bellini does. We love to cook and bake and the convenience of kitchen appliances. Wow! This could help me do so much in the kitchen! I love that it has so many functions! It would definitely help to make making dinner much easier & quicker & convenient! I would like to win this prize for several reasons. My daughter, who loves to cook, got married in May. I wasn’t able to give her much of a gift. She has built a house with her husband and I have nothing for them. And I don’t see much changing for Christmas. This would be a nice present. I would like to win because my daughter has a VERY small kitchen and multipurpose appliances are something she really needs! I have recently started cooking more and this would make it so much fun. I can’t wait to get my hands on this. I would get so much use out of this, would love to win ! I would love to win this to try different recipes and make yummy foods. I am huge into everything kitchen (per se) and am a dang good cook (yes, I have a soap box when it comes to my kitchen skills). This would be lovely and take the place of a few of my other appliances; saving space in the end. I want to win this for my mom who loves to cook but can’t use her hands as well as she use to. I like the fact that this is a multi-purpose tool. We are seniors and have limited space but love to cook. Perfect for us. I want to win so I can be Bellini Kitchen Master of my culinary domain!